Mental health care centered on knowing the needs of the residents, listening to the voices, making connections, respecting each individual’s choice and time, now three recommendations will be sent here to lead the creation of new local community that brought by the resilience of the people of Fukushima and the support of the administration. On March 11, 2011, the largest earthquake ever recorded in the history of Japan, hits eastern Japan, the tsunami that followed and provoked Fukushima Daiichi Nuclear Power Plant accident are unprecedented compound type disasters that brought severe damage to the entire East Japan. While such disaster was never experienced, prediction of convergence and prospect for reconstruction were not promised. The support activities of Médecins Du Monde Japan (aka: Doctors of the world) began with building psychiatric care in the disaster area, care that was non-existent before the disaster, we are soon entering the 7th year of aid program. Amid the reconstruction is progressing, changes in the environment surrounding the residents including the lifting of evacuation orders, are overwhelming, the residents feel left behind, the social tasks are too complicated and it is anticipated that will continue for years. The figures show that Suicides do not decrease, this is because the fight for recovery towards an invisible exit continues among residents and supporters. After seven years, mental health care is still needed in devastated area. It is impossible for medical personnel and medical institutions alone to break through this situation. In order to continue the mental health care that confronts the difficulty and suffering of the people of Fukushima, what is needed now is to create a framework that provides mental health care under the government initiative. It is a system where institutions from a wide range of fields collaborate and people who need it can enjoy service without stress. We’ve been working to create framework together that the system will function with trusting the resilience of the residents themselves as well as the local supporters. Being still active on the field we can convey this message. The Fukushima Center for Disaster Mental Health was inaugurated on February 2012. The Fukushima Association for Psychiatric Health and Welfare launched this Center with a commission from Fukushima Prefecture. A multi-occupational team was assembled at the Center; cooperating with multiple municipalities and affiliated organizations in order to restore the emotional and mental stability and health of the disaster victims who have been severely stressed due to the earthquake, tsunami and nuclear accidents. The team, composed of several different kinds of medical professionals including nurses, clinical psychologists and public health nurses, conducted mental health care activities such as private consultations and home visits based on the disaster victims’ needs. In January 2011, the Soma District Mental Health Care Center NAGOMI was established as a delegate of the Fukushima Center for Disaster Mental Health. NAGOMI functions for mental health care in the north coast of Fukushima (Soma area). In NAGOMI, a multi-occupational medical team provides support services including consultation. Its service targets evacuated residents in Soma area (Soma City, Minamisoma City, Shinchi Village in Soma District and Iitate Village). Repatriation to the former restricted area has started, and the reconstruction process is progressing. However, residence of disaster victims are unstable, and disparity in the levels of reconstruction among individuals is emerging. Within this context, the level and scope of mental care provided to the residents of Fukushima need to be much detailed and seamless one. In the other prefectures that suffered from the disaster, the reconstruction plans are normally scaled at somewhere between a 5 to 10 year plan. Because the disaster in Fukushima is composed of a triple crisis of earthquake, tsunami and nuclear accident, the situation is unprecedentedly more complex. Under these conditions, it is impossible to set any time limit on the recovery and support of the mental health care for the disaster victims in this area; instead, the supportive institutions like NAGOMI must be made permanent. Inevitably, the victims of the earthquake/tsunami/nuclear disaster were forced to face drastic changes to their environment. The evacuation order from restricted areas have been progressively lifted. Nevertheless, recovery and reconstruction is still difficult because the people have lost so much: family relations, health, work, school, livelihood, infrastructure, and the integrity of the local community. Moreover, compensation issue derived from nuclear disaster further complicate the situation, and stress victims feel is intricate and awfully differs case by case. In order to resolve the complex factors involving PTSD and suicide among the disaster victims, medical services alone are not sufficient; what is needed is a seamless, one-stop service center with a multi-occupational team consisting of social workers and other support professionals. Disaster victims require the establishment of a comprehensive institutional network that provides a full range of services for recovery. Consultation must be able to address a wide range of issues, including financial problems, legal issues (e.g. compensation procedures), employment, child care, health and support for various kinds of administrative procedures. Currently, the Community General Support Center is effective as a comprehensive support site for the elderly; we need a similar sort of ‘Consultation Desk’ open to all disaster victims in Fukushima. This Consultation Desk would function as a liaison, as a way to refer beneficiaries to the most suitable institutions based on their individual backgrounds and needs. In order to make this function effectively, local outreach professionals must be able to recognize and identity even those cases where disaster victims suffering is hidden and less apparent. Local resources such as the Fukushima Center for Disaster Mental Health and the Soma District Mental Health Care Center NAGOMI would play important roles in the proposal, thus, their continuance is necessary. April 2017, the evacuation orders on Tomioka Town, Namie Town and Iitate Village were lifted. Prior to that, the restrictions had been progressively lifted in other areas: in July 2016 for Odaka area of Minamisoma City and in September 2015 for Naraha Town. 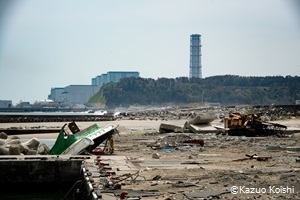 The partial lifting for Tamura City occurred initially on April 2014. 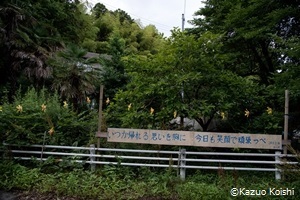 Before the disaster, 21,000 people were living in Namie Town. As of August 2017, about 400 residents had returned. In this heavily depopulated condition, plans for the revitalization of the village is quite difficult. Nevertheless, considerable effort is being made to reconstruct the residents’ livelihood as well as the general economic conditions of the area. A number of measures were undertaken, including those to attract commercial architecture, maintain medical facilities and attract factory aiming employment creation. In the Odaka area of Minamisoma City, the Odaka Reconstruction Design Center was established. In order to restore Odaka’s vitality by practice and inquiry under unprecedented condition, the Center has worked closely with residents and local governmental officials. To support the community rebuilding effort for returning residents, steady efforts have been made. For example, the Center functions as a site where individual residents can bring their ideas and share plans for future of Odaka revitalization which will result to be a trigger for future action. Realizing the huge human needs entailed in the disaster zones, many local professionals have been steadily working on mental health care. One example is an occupational therapist whose home is located in Minamisoma City, 20 km from the disaster-struck nuclear power station. She had once evacuated to her relatives’ house in a neighboring prefecture; however, she returned to Soma City as soon as possible in order to provide mental health care and physical exercise for evacuees in temporary housing units. Another example is of a public health nurse in Namie Town, who was also a victim of the disaster herself. She is now a leading figure of the reconstruction of the mental health care system in Minamisoma city. Any real support for reconstruction goes beyond building of breakwater and other physical structures which did not exist prior to the disaster. Real reconstruction requires the redevelopment of the community in which residents can live security and free from anxiety. The residents control their own livelihood, create employment and improve community function; supporting such reconstruction process means supports for the real reconstruction of the people and community affected by the disaster. Activities of this sort will have a significant impact on progress of emotional reconstruction. During recent years, repatriation for the liberated area is in progress; and, the reconstruction of those area is just about to start now. Médecins du Monde (MdM) expects that the government authorities responsible for the reconstruction expressly and proactively make just this sort of positive effort, always led by local needs and resources, to support the reconstruction of Fukushima by providing subsidy and all of measures possible. ³Late-onset PTSD describes a situation where a person does not develop a PTSD diagnosis until at least six months after a traumatic event.